We are a leader. We work with leaders. And our long history of innovation and support keep you ahead of the curve. Now introducing Designer Trak for Xamarin Forms. 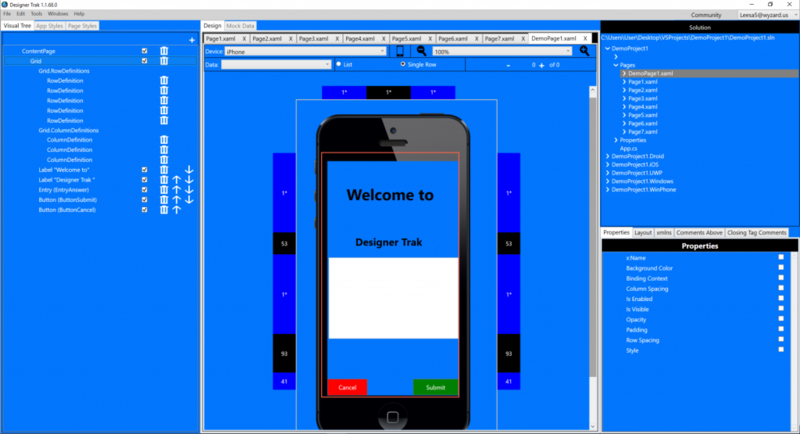 It takes Xamarin Forms to the next level providing a True Designer for Xamarin Forms. Add Xamarin Form controls to app page, customize control properties and see your app screen IMMEDIATELY! Coding is updated in Visual Studio without having to type a single line of code. Discover how Designer Trak for Xamarin Forms can speed up your cross platform app development Now!